As a chiropractor, Dr. Christian Beaudry, DC evaluates the body to determine whether there is interference with your nerve system. This system is responsible for transmitting information from the brain to the rest of the body. There are two primary goals in your care: to re-establish the transmission from the brain to body and to reconnect the rest of your body back up to the brain via the nervous system. The first benefit you may notice is that you feel better. When your nervous system functions optimally, you can express less body interference, resulting in better health expression. You’ll also gain greater self-awareness, which leads to a higher level of planetary consciousness. When you qualify to become a patient, you’ll begin initial intensive care. At this stage, multiple visits take place over a period of a few months to slow down and stop the progression of subluxation degeneration as well as help your symptoms. You’ll then be reevaluated with an examination and follow-up x-ray (if necessary). If your condition warrants it, you can enter corrective care. Once corrective care is completed, health optimization care can allow you to take control of your future. These phases of chiropractic care will be detailed to you at your report of findings on your second visit. There are many conditions that you may find positive results with chiropractic care. These include functional childhood neurodevelopment disorders such as specific cases of ADD and hyperactive child syndrome, neurological problems following interference with life expression particularly in the upper neck region (the beginning of the spinal cord is localized in this area). Furthermore, clinical research has demonstrated interesting improvements in cases of cervical headaches, migraines and recurrent stress caused by physical, emotional or work-related events. 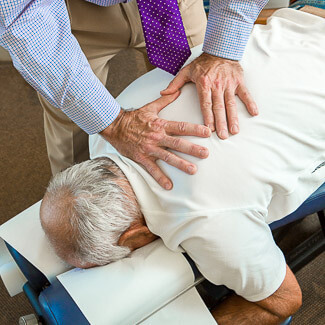 Only the appropriate force is used for a patient’s adjustment. There is a common myth about chiropractic care that neck adjustments can cause vascular accidents. Spine Magazine, however, published a meta-analysis in 2008 stating that there is no direct specific connection between chiropractic adjustments and harmful spine-related incidents. Schedule your appointment at Dr. Christian Beaudry, DC Chiropractor in Beaconsfield today! On-site x-ray (if necessary) facilities are available for your convenience.